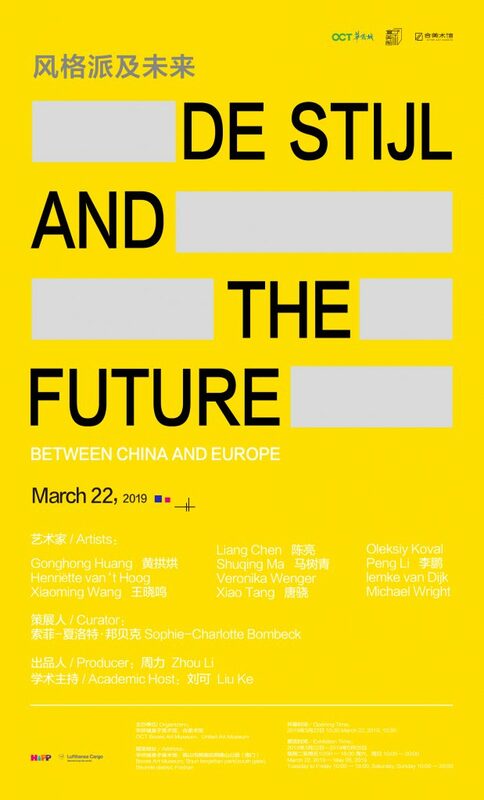 The exhibition De Stijl and the Future presents the Artworks of several Artists from China, Germany, the Netherlands and Great Britain the Exhibition explores the relationships between the movement and the work of the participating artists who are influenced by the ideas of De Stijl. The show started already in January at the United Art Museum in Wuhan (China) and will now continue in a new order at the OCT Boxes Art Museum Foshan City (China). With the exhibition we started a new series of exhibitions which, from the basic concept, guarantees an exchange between the arts, the creatives, curators and the artists themselves. Based on these considerations, we decided to invite the artists to present their own statement about art and its relationship with De Stijl. And to allow this within our exhibition, but not to integrate directly, but at a certain distance. These works are not integrated into the exhibition as direct curatorial positions, but certainly in the experience process of the exhibition conception and theme. The second show of De Stijl and the Future will open on March 22th at 10:30am.